Get a Copy of Joe Eddie’s Latest Album, Fallin’ Through The Sky, For Just $9.95! Click Here To Download Joe Eddie’s Fallin’ Through The Sky Now! Get your digital copy of Joe Eddie’s Latest Album, Fallin’ Through The Sky, For Just $9.95! Original American Folk Country Blues Rock from an Original American Songwriter. Get your digital copy of Joe Eddie’s Latest Album, Fallin’ Through The Sky, For Just $9.95! Original American Folk Country Blues Rock from an Original American Songwriter. Joe Eddie has found his calling as a skilled composer and poetic troubadour who tosses into the mix all the styles of his past, from ’70s rock to ’80s pop, from slashing grunge to glittery glam, all the way back to earnest acoustic folk, crooning and grinning sardonically all the while. Get ready folks, because Joe Eddie is only getting started! 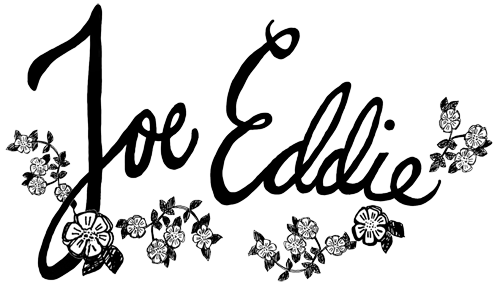 If you are a fan of legendary singer songwriters such as Kris Kristofferson, John Fogerty, Bob Dylan, Neil Young, Hank Williams and others like them, Joe Eddie is a must have for your collection. His lyrics have captured the attention of barroom listeners around the Midwest, especially those at the Tuesday night Hub Bar open mic; and his soulful delivery and knack for guitar melodies make this album the perfect backdrop for that epic Americana road trip, or even just an evening at home sitting over your favorite drinking glass. So click the order button below and get instant access to Joe Eddie’s latest album, Fallin’ Through The Sky, and discover why people around the world are all soon to be talking about Joe Eddie. You will receive a digital download of Fallin’ Through The Sky via email, immediately after placing your order. ©2019 JoeEddie.com. All rights reserved.